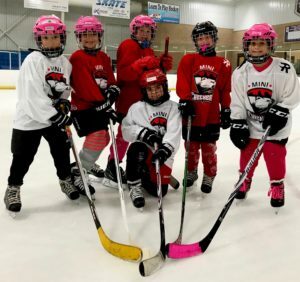 Extreme Ice Center began hosting Girls Stick and Puck sessions as an initiative to grow the game and give girls more opportunities to play hockey! These sessions are for girls only. You must wear full equipment to get on the ice. There are a limited number of these sessions, so make sure you register early. Thank you for checking our upcoming girls’ skills day schedule. We currently do not have any of these events on our calendar. Please check back at a later date!